Council Tax in Hammersmith and Fulham going up. The Council’s share to increase by inflation-busting 4.7 per cent. The Council’s Band D share will go up from £727.81 to £762.01. On top of that Mayoral precept is going up by nine per cent – for Band D up from £294.23 to £320.51. Labour hitting the poorest the hardest. The current inflation rate is 1.8 per cent. That is a bit vague. It could include cutting Council Tax. Or freezing Council Tax. At a stretch, it could include increasing Council Tax at or below inflation. But I don’t think that pledge is consistent with increasing Council Tax by over twice the inflation rate. What makes it worse is that the Council is not being honest about its tax increase. In the Budget papers, it calls it an “adjustment”. It says the figure is only 2.7 per cent – that the further two per cent for the “adult social care precept” in some way doesn’t count. It does if you are a Council Taxpayer having to pay the bill. It is money that goes to the Council and it is the Council’s decision whether or not to apply it. Nor does it follow that just because the Council is spending more on social care that it has a good record. On the contrary, its record is deplorable. See here and here and here and here and here and here. So often with these examples the bureaucratic delay and mismanagement mean both high spending and poor service. But that doesn’t stop the Labour councillors standing up in the Council chamber boasting about how caring they are and complaining about austerity. The same point applies to children stuck in the care system. The number in Hammersmith and Fulham is 230 – that is an increase from 204 in 2014. Many of them could and should be placed for adoption and thus have the chance of a permanent loving home. 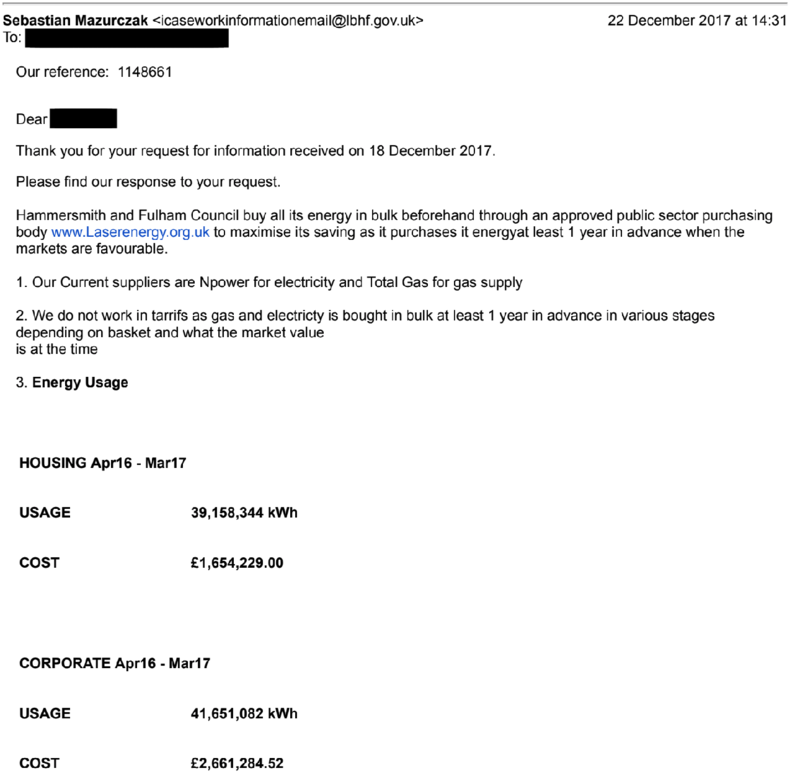 But for ideological reasons the Council is obstructive towards adoption – with a huge human as well as financial cost.
. For all this virtue signalling they can certainly find money for their really important priorities – increasing their “special responsibility allowances” so that councillor allowances spending is up this financial year from £785,600 to £847,000. There is also the kickback to the union paymasters – nearly £200,000 of Council Taxpayers money in the borough spent on salaries for union officials. All this supposed austerity still allows them to pay the Council’s chief executive £169,000 a year plus employ another 12 bureaucrats on six figure salaries. The Council owns 242 of these garages are currently empty. Often these are sites that could provide much needed new homes. £12 million a year is spent on interest payments on the Council’s debt. Yet the Council clings onto surplus land and vacant buildings. As the Council tax raises £55 million a year inteerst charges represent a pretty hefty item. With an Orwellian touch the Council’s names one of most wasteful departments “Delivery and Value”. This has annual spending of £1.79 million and includes such items as “Policy and Strategy” £471,000 and £164,000 on “communications”. Small wonder the Council leader prefers pontificating about Brexit than talking about his record. That’s more than twice the Prime Minister’s salary – she gets by on £150,402. The report adds that Nigel’s basic pay was £190,000 – he also got £24,700 as a performance related bonus and another £95,012 as “compensation for loss of office.” He’s now the chief executive of Slough Borough Council. Good for him. But there is a wider story of how dysfunctional Hammersmith and Fulham Council has become with its senior management since Labour took over in 2014. At first they had Nicholas Holgate as chief executive. Then they had Nigel Pallace – an Extraordinary Council Meeting was specially specially held to appoint. Then last November we had another Extraordinary Council Meeting to appoint Kim Dero. It only took 12 minutes. Three chief executives in four years is not exactly ideal in terms of good management – quite apart from the huge sums Council Taxpayers money being spent. It is incompetence as well as extravagance. But that is not the only post where people keep coming and going. For instance the Housing Department – which I have a particular interest in as the Conservative housing spokesman – we saw the appointment of Nilavra Mukerji as the Director of Housing Services. He resigned as a Labour councillor at Westminster to take up the post. His basic pay at Hammersmith and Fulham Council was £104,669 a year. A lot of his time was spent on the Council’s doomed stock transfer project. That unwanted scheme cost £1.395 million – not including Nilavra’s salary – before it was abandoned. Then last year he left. By the way, I think the Taxpayers Alliance understates the scale of six figure pay packages at Hammersmith Town Hall. According the latest transparency data – which the Council is obliged to publish on its website the list has 26 paid over £100,000 a year – when bonuses and pension contributions are included. When they were in opposition Labour attacked “fat cat” pay at the Council – at the time the total number earning over £100,000 was nine. A year ago I reported that Council Tax bills would be going up in Hammersmith and Fulham for the first time in 11 years. I’m afraid that this year households will see another increase. Some residents tell me they “don’t mind” paying more – but they tend to be those on higher incomes. Council Tax hits the low paid the hardest and for those on tight budgets any increase is unwelcome. Wandsworth and Westminster have much lower bills while maintaining a high standard of local services. The Council Tax bill is really two bills. The part that goes to Hammersmith and Fulham Council has been frozen again – breaking Labour’s pledge to cut it. Another chunk of the Council Tax goes to the Mayor of London for the precept. That bill is going up 5.1 per cent. That is the maximum amount that the Mayor, Sadiq Khan, is able to push it up without the approval of a referendum. It equates to an increase from £280.02 to £294.22 a year for a Band D household. It could be worse. Chris Williamson, a Labour Shadow Minister, proposes a 20 per cent increase in Band D Council Tax across the country, a 40 per cent increase for Band E, a 60 per cent increase for Band F, an 80 per cent increase for Band F and 100 per cent rise for Band H. No Council Taxpayers would benefit under his plan – Bands A-C would be frozen. But the proposals for Bands D-H would mean huge rises for most people in Hammersmith and Fulham – they would hit 62,292 or the borough’s 86,793 households. Of course many of those living in high value properties include pensioners and others who may not be high incomes. It’s not yet adopted as official Labour policy but Williamson is a close ally of the Labour leader Jeremy Corbyn – and so gives an indication of the direction of travel in the Labour Party on this issue. That is likely to change from April this year. Hammersmith and Fulham Council will privatise debt collection for Council Tax. The firm that will be chasing the money, 1st Credit, will operate on Financial Conduct Authority standards to public debts – in the same way as when they pursue private sector debts. What about other payments being chased? The Council says that the use of bailiffs is a “medieval practice” as regards to collecting overdue Council Tax. So why continue with the practice for parking fines? There is some PR from the Council about how “ethical” 1st Credit is but in the past they have been criticised by the Office for Fair Trading for being too quick to threaten legal action. Since April bailiffs have been used for Council Tax arrears alone by Hammersmith and Fulham Council 2,481 times. If it is “medieval practice” why not stop using it now rather than waiting until 1st Credit are managing it? But the principle is welcome. The state is not good at debt collection – any more than it is at anything else. The lumbering, inflexible bureaucratic approach is both inefficient at gathering in the money and insensitive as to the human cost of how it is achieved. Often it is the Council that will have to deal with some of those human costs – if a family is made homeless or a child ends up in care. Going to court is a slow and expensive way to proceed. Often there are miscarriages of justice. Far better to intervene earlier – with well trained staff to negotiate payment of the sum owed on an affordable schedule. Two years ago I reported on the hypocrisy of Labour-run Hammersmith and Fulham Council for employing staff on zero hours contracts. At the same time Labour councillors were denouncing other employers for using them. Yet according to the Council’s latest Workforce Data the number of Council staff on zero hour contracts has more than doubled in just two years to 1,262. The Council could well argue that many staff welcome the flexibility of such contracts. But then private employers could make the same point. Whatever view you take Labour’s credibility on this issue is in shreds.